Ivan-Asen was in very poor shape when we first arrived at Razgrad Zoo in November 2017. Fortunately, the lion responded well to the treatment he received after his rescue during his temporary stay at Sofia Zoo. During this time, our animal caretaker crate-trained Ivan-Asen on-site, after which he voluntarily went into his transport box. 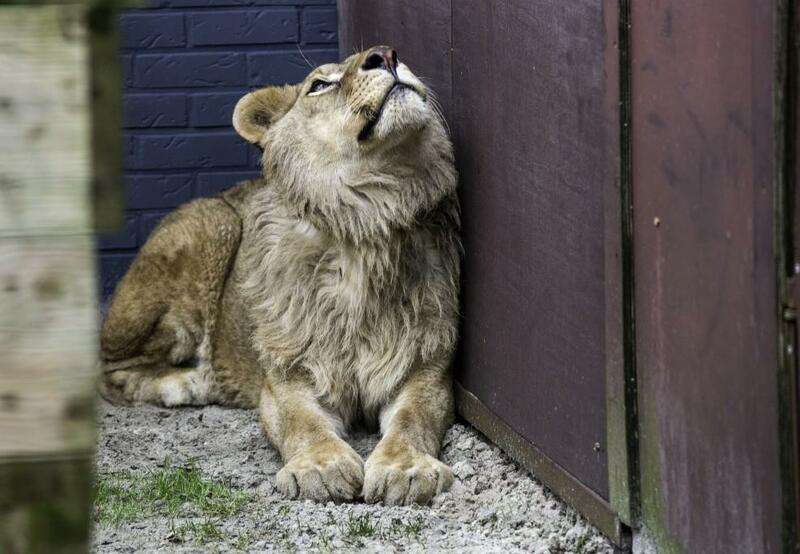 Therefore, risky anaesthesia for the already weakened lion could be avoided. Dr. Marc Gölkel from the Leibniz Institute for Zoo and Wildlife Research (IZW) was present during the entire transfer to examine and observe the three-year-old lion and attest to his ability to travel. The transfer of Ivan-Asen follows that of the lion siblings Masoud and Terez, whom FOUR PAWS already brought to FELIDA in early February 2018. 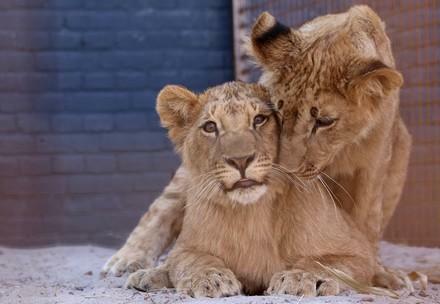 With Ivan-Asen arriving at the Dutch Big Cat Centre, the lions, who come from the same family, are reunited. FOUR PAWS big cat expert Barbara van Genne. Watch IvanAsen's journey in the video below. 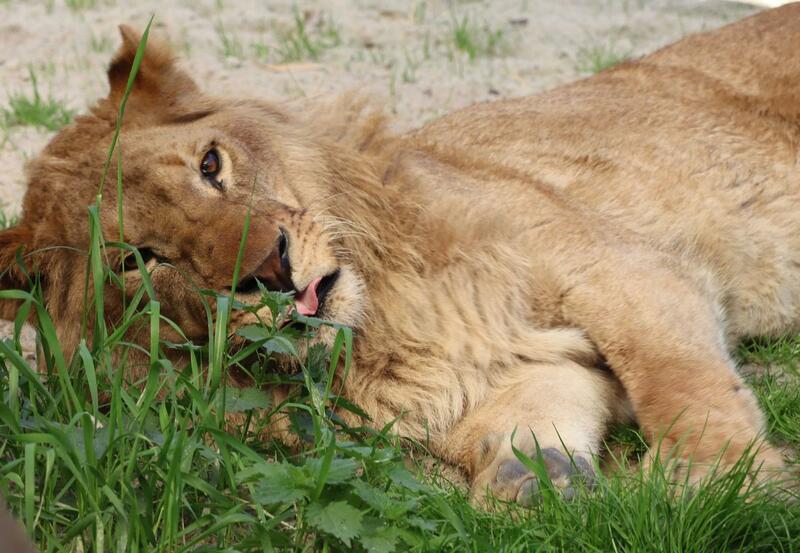 Ivan-Asen will now be able to further recover at our Big Cat Centre FELIDA, which is located in the Dutch town of Nijeberkoop. By taking over the project in 2014, we also assumed responsibility for the 26 big cats who were already housed there at the time. 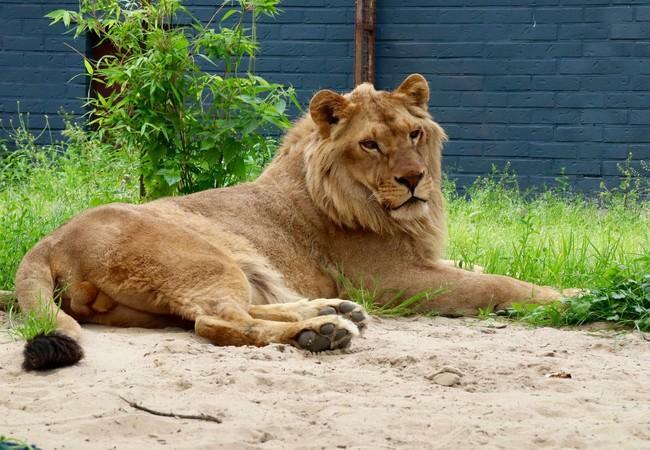 As FELIDA was primarily intended to serve as a transit and rehabilitation centre, we moved most of the wild animals to our Big Cat Sanctuary LIONSROCK in South Africa. 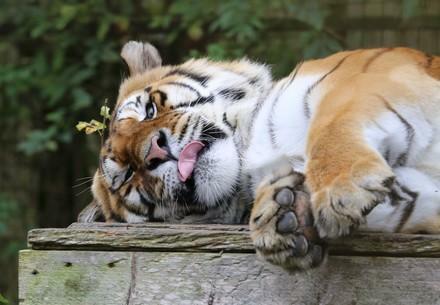 Besides the three lions rescued from Bulgaria, five tigers currently live at the Dutch Big Cat Centre. In the future, we plan to expand the facility so that even more big cats can be rescued from poor keeping conditions and placed into large close-to-nature enclosures. Razgrad Zoo opened in 1960 and is located in north-eastern Bulgaria. Although its license expired in 2014, the zoo remains open to visitors for free, and was financed by the unprofessional (in)breeding and sale of lions. Animals of different species – including lions, deer, reindeer, llamas, foxes, hogs and birds – still live in the illegal zoo. Since the city owns the zoo, we convinced the mayor of Razgrad to intervene. 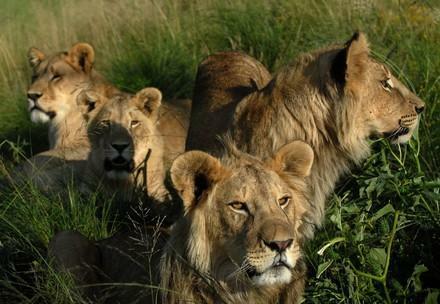 At the end of last year, an international team of veterinarians provided medical care to the lions and sterilised two adult males. 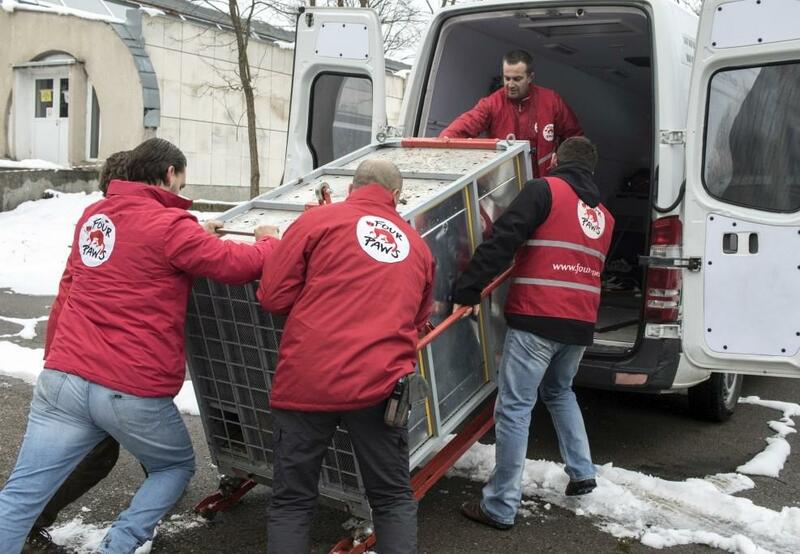 With that, we successfully ended the illegal breeding of lions at Razgrad Zoo.